Tackling more home-grown ingredients was the goal tonight. 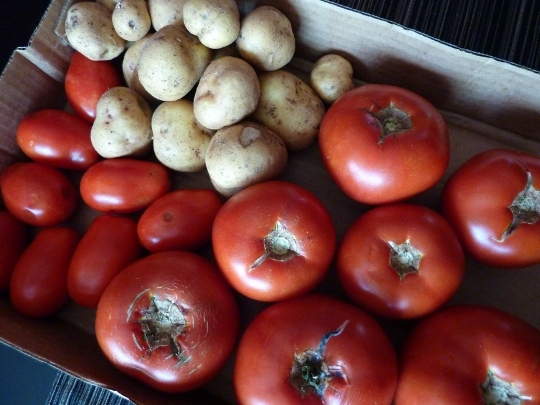 Up tonight: Tomatoes and Yukon Gold potatoes. 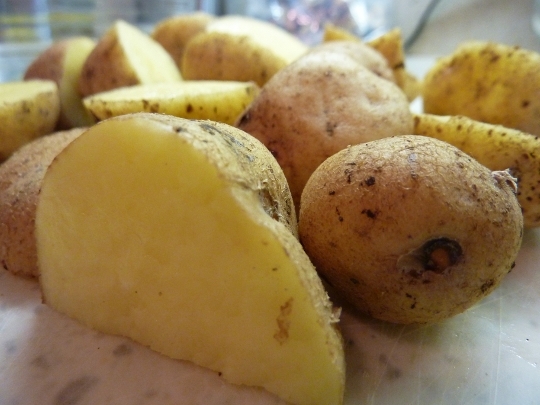 First up – the Yukon Golds. These were some cute little guys, so I cut the bigger ones in half and left the smaller ones whole, to prep for an oven roasting. Love that enticing gold flesh inside. 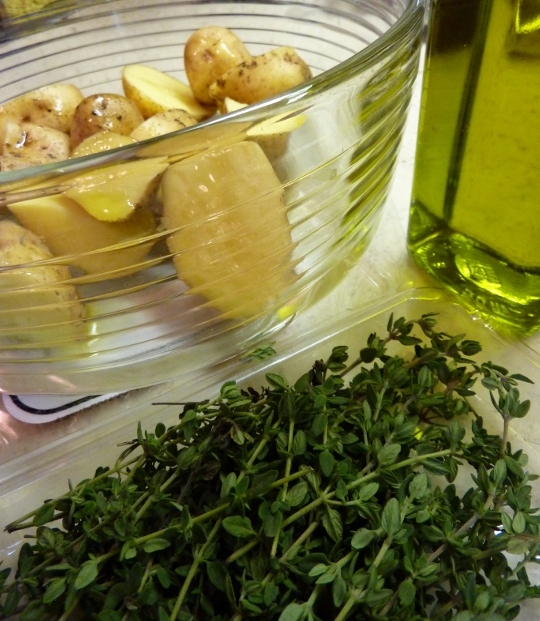 Next I tossed the potatoes in a few drizzles of EVOO, and sprinkled with chopped fresh thyme, minced garlic, salt and pepper, and also a few shakes of dried marjoram and rosemary. Next up – the tomatoes! They are crazy-red inside – the ones from the grocery store sure don’t look like this! 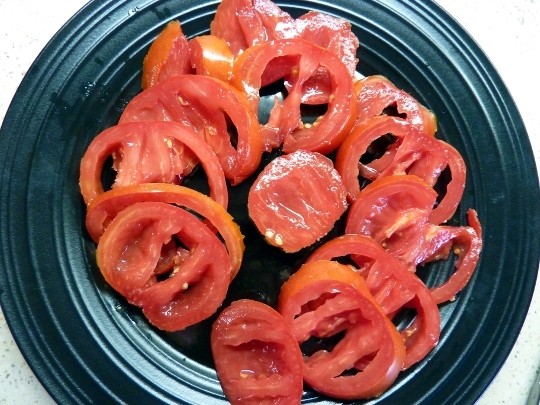 Gotta love home-grown tomatoes. I like to remove the seeds and mush from mine, leaving only the flesh. So what did I have in mind for the tomatoes tonight? 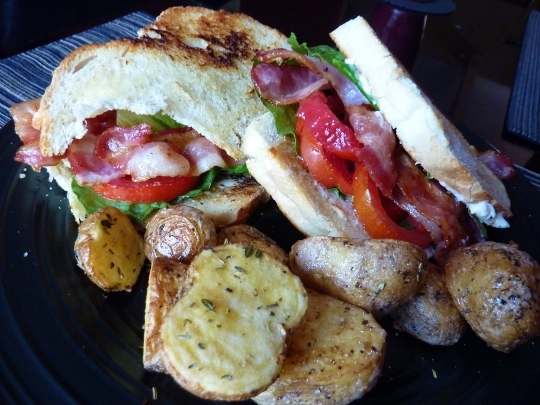 Well, last night we had caprese salad, so tonight was BLT night! So naturally, the next BLT ingredient to prepare was the B – BACON! I’ve been cooking with bacon a lot lately. I made 14 slices of center cut bacon for the two of us. 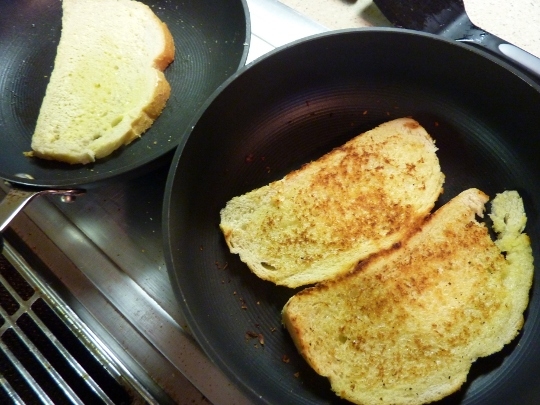 Lightly buttered up the pieces and browned them up, grilled-cheese style, sans cheese. 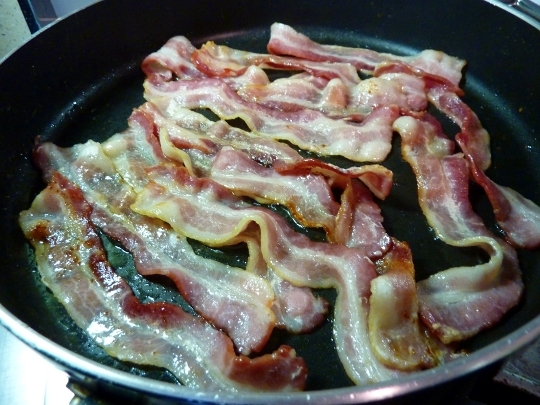 After the bread was browned, I added a little miracle whip, some romaine lettuce, tomato slices and the bacon – voila! 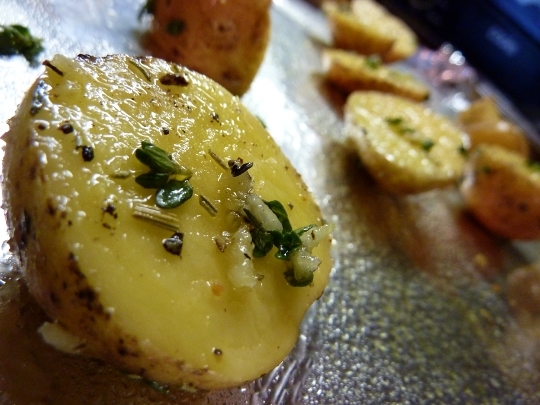 The potatoes were also fantastic. I love this meal. 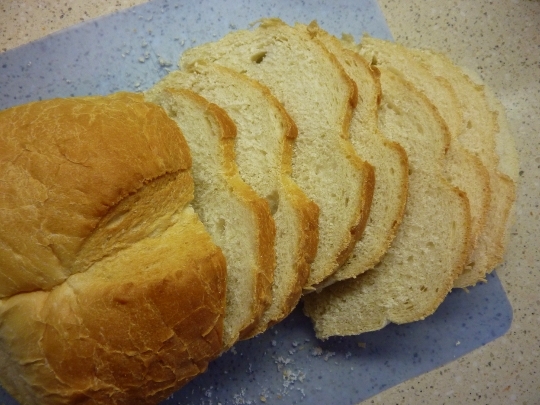 I love that just a few simple ingredients prepared right can make for such a delicious meal. ♪♫ Currently Listening to: Pushing Me Away – Linkin Park.